Last month, news broke that a Russian woman charged with conspiracy and acting as an unregistered foreign agent for Russia tried to use the National Prayer Breakfast (Национальный молитвенный завтрак in Russian) “to establish a back channel of communication. 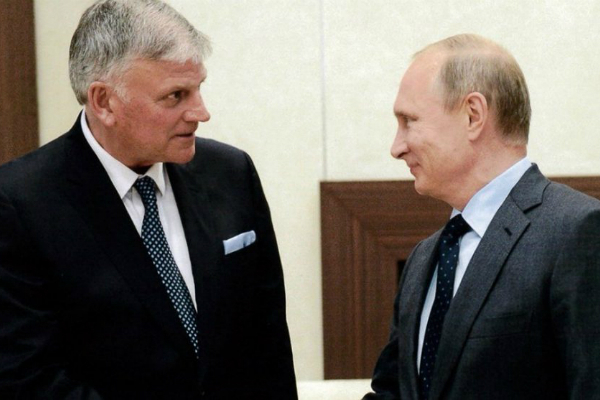 Since then, journalists, such as Jack Jenkins, an award-winning national religion reporter from Religion News Service, have uncovered just how deep the connection between Russia and the American Religious Right is. Jack will join Welton on State of Belief this week to parse the connections and its implications of what he’s learned. Hear the full August 11, 2018 State of Belief Radio program here.